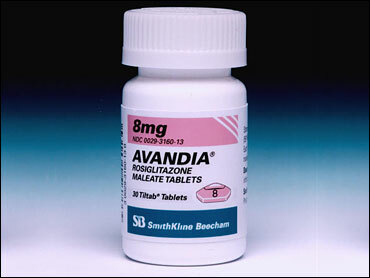 (CBS) In a split decision, an FDA panel has decided to leave diabetes drug Avandia on the market despite concerns over increased heart risks. The drug's manufacturer, GlaxoSmithKline, says it expects to take a $2.6 billion hit in the second quarter to settle lawsuits for Avandia as well Paxil, an antidepressant linked to birth defects and problems at a plant in Puerto Rico. For the drug maker, that's actually good news. Analysts expected the company could have shouldered as much as $6 billion if the FDA took Avandia off the market, according to the Wall Street Journal. Meanwhile, a coaltion of diabetes doctors is recomended that Avandia patients remain on the drug until they can find other treatment options. That's despite the fact that studies have suggested an increased risk of heart attacks, strokes and death in some users. "The worst outcome would be to not treat diabetes properly, thereby risking its complications," Dr. Daniel Einhorn, president of the American Association of Clinical Endocrinologists, said in a statement joined by the Endocrine Society and the American Diabetes Association. Twenty-four million Americans have diabetes, according to the American Diabetes Association.